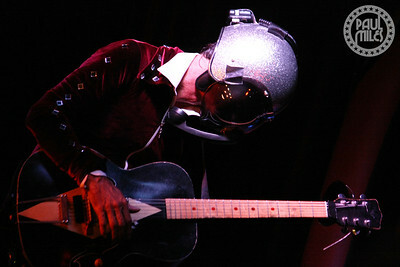 Arizona’s slide guitar one-man-band, Bob Log III, played Sooki Lounge in Belgrave, Melbourne on Saturday 27 February 2016. 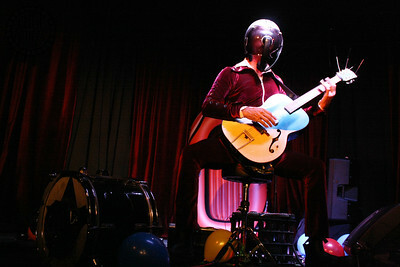 The unique showman drums with his feet while playing old Silverstone archtop guitars. 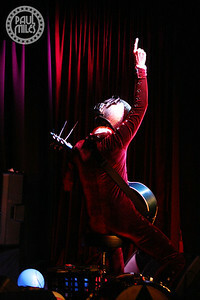 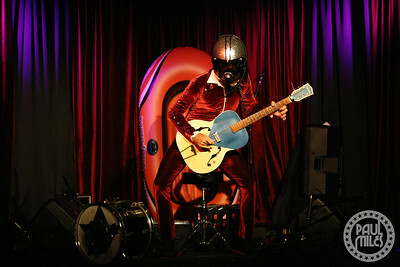 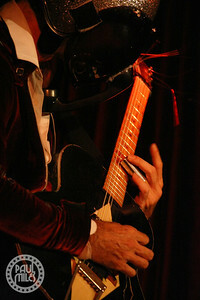 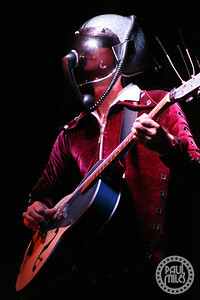 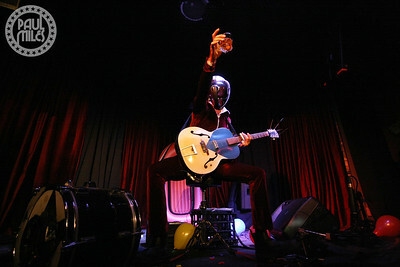 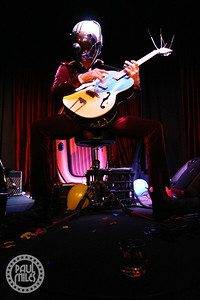 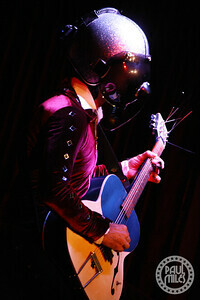 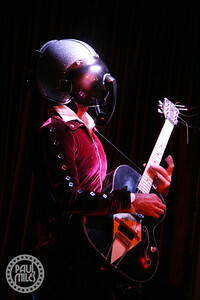 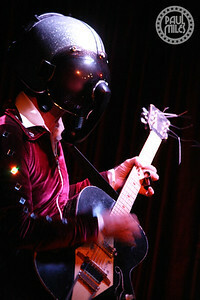 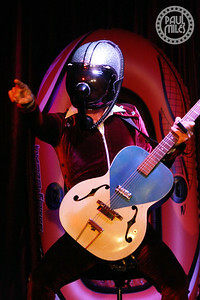 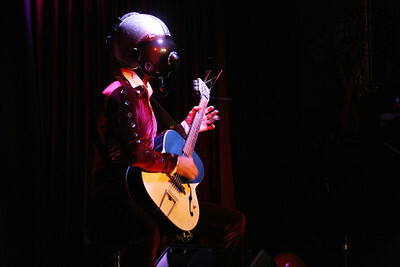 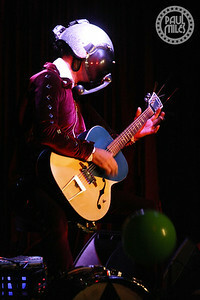 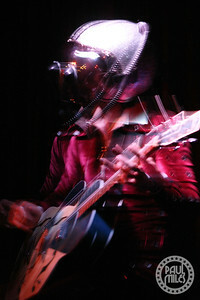 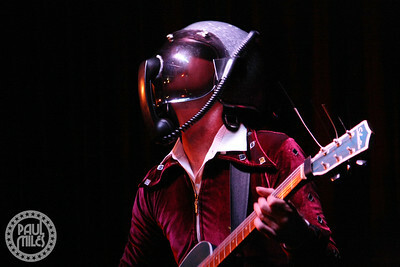 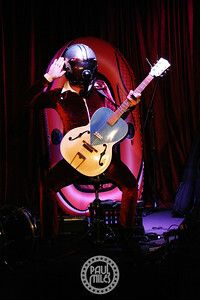 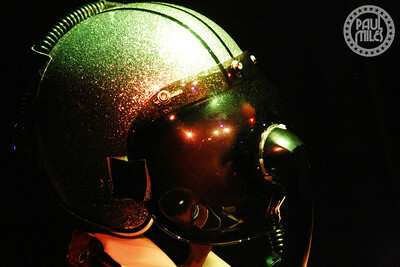 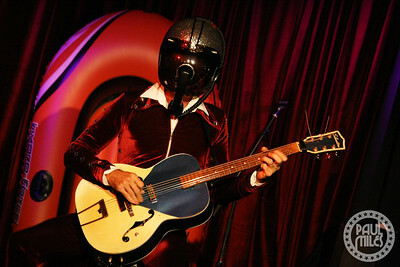 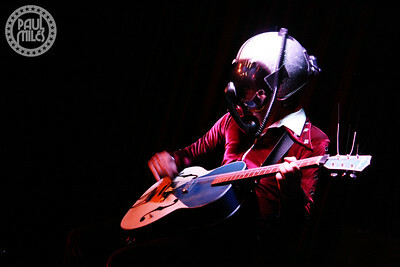 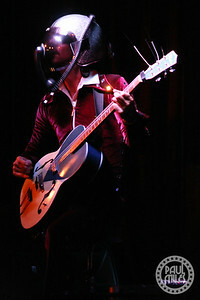 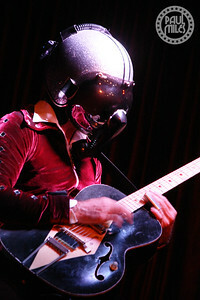 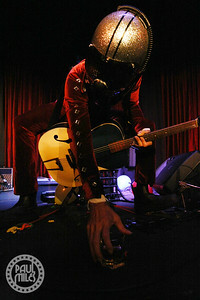 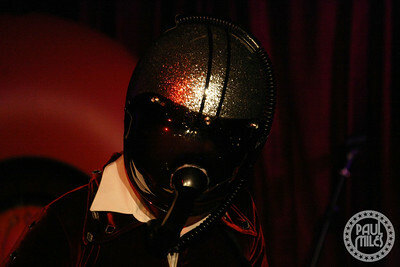 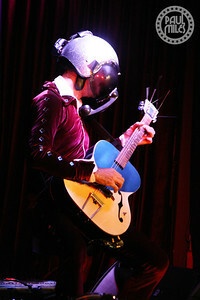 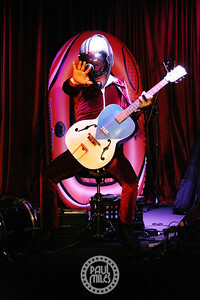 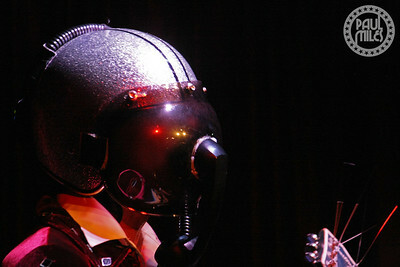 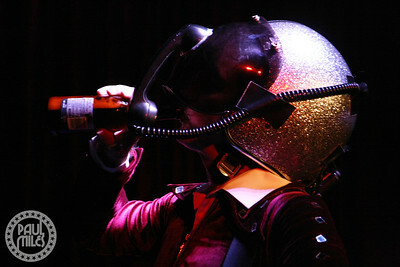 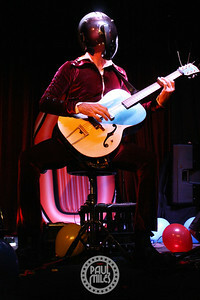 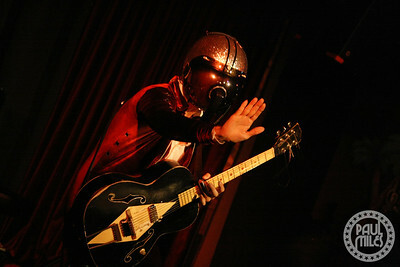 Wearing his trademark human cannonball suit with motorcycle helmet (connected with a telephone handset microphone for hands-free singing), he entertained the Dandenong Ranges crowd with his fast-paced Delta blues punk guitar dance party that he tours worldwide each year.